Many stores sell pre-prepared shrimp. 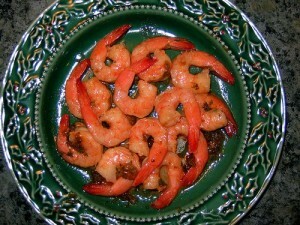 If this first part makes you squeamish don’t hesitate to buy the pre-prepared shrimp. Cooking the shrimp is definitely the easy part. Some people fry them, which is very delicious but not all that healthy for you. For a more health-conscious dish you can add them to other dishes and just boil them or saute them. Either way is delicious and provides a lot of great, light protein.